All of our team members are THFI RSO certified, which means they’ve been trained in first aid, firearms' safety and range control. They understand that no two shooters are alike and will work with you to learn about firearms at the right pace. Marchelle is a Florida native and current Savannah, GA resident. She manages Trigger Happy Firearm Instruction(THFI) full time while creating, organizing and teaching THFI classes. She is also currently training all THFI Training Coordinators and team members. In her free time, she enjoys traveling with her husband, writing poetry, swimming and weight training in the gym. Her current goals include expanding the THFI membership program across all 50 states and opening a gun range. 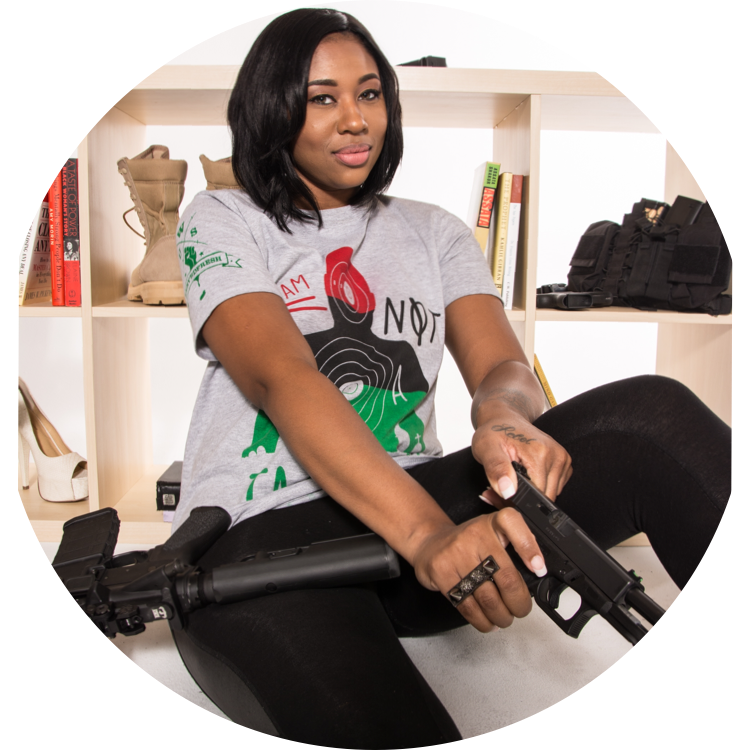 Marchelle is an NRA Certified Pistol Instructor and Chief Range Safety Officer. Alexis is a Las Vegas native. She works for the State of Nevada assisting individuals with developmental disabilities. In her free time, she enjoys giving back to the community by serving in local food banks. She's also an avid art lover and loves to travel to new hiking destinations. Her current goals are to finish her degree in Psychology from NSC and to become a certified CCW firearms instructor by 2019. Alexis is an NRA Certified Pistol Instructor. Tamara is a North Carolina resident and Kentucky native. A graduate of Elizabeth City State University, she is a Certified Ophthalmic Assistant studying Ophthalmic Sonography for a local healthcare system. In her free time, Tamara enjoys music, poetry and crafts. Tamara plans on pursing her North Carolina Concealed Carry Instructor Certification within the next year. Tamara is an NRA Certified Pistol Instructor and Chief Range Safety Officer. Lynne is originally from St. Louis, MO, now living in Southern CA. She is retired from the semiconductor industry where she was most recently a Technical Recruiter. In her free time, she enjoys pursuing her passion for the culinary arts, as she is also an accomplished chef. Her goals are to continue learning and growing in firearms safety knowledge, as well as empower women to protect themselves.